Spring is in the air! It’s not here in the Calumet Region, of course. As we all know it doesn’t start getting warm here by Lake Michigan until about the first of June. In Arizona and in Florida, it’s a different story. The air is warm and baseballs are flying over the fences of spring training camps every day. When did spring training begin? No one has a definitive answer but there are some sources of information that baseball historians look at to try to answer this question. 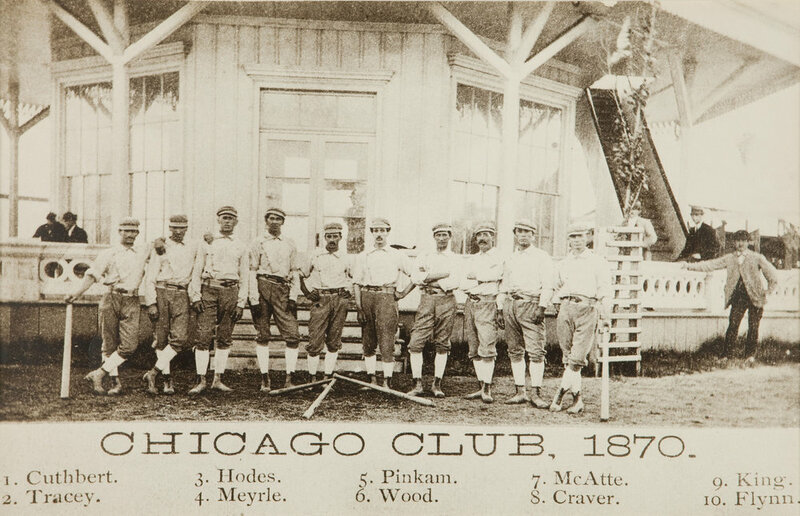 The earliest evidence points to the fact that in 1870 the Cincinnati Red Stockings and the Chicago White Stockings (today’s Chicago Cubs) held organized camps in New Orleans to prepare for the upcoming season. Some say spring training began in 1888 when the Washington Capitals held a four day camp in Jacksonville, Florida. 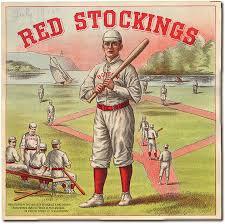 Most baseball people believe that by the early 1900s spring training was in wide use. 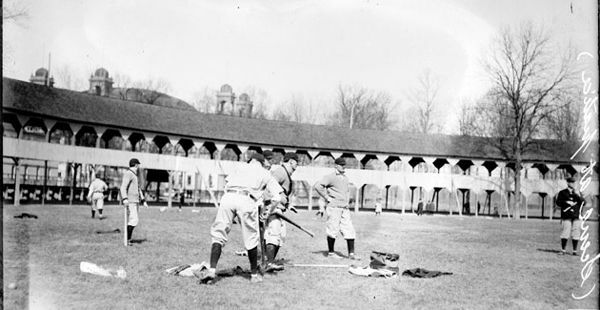 Many of the teams came to Hot Springs, Arkansas, which has been called the “original birthplace of baseball spring training.” Three fields were built there from 1894 to 1912 and spring training games were being played there on a regular basis. Before the days of multi-million dollar contracts, most baseball players had to work extra jobs during the off season to feed their families. Not all players stayed in shape over the winter, so spring training gave them a chance to return to a more athletic physique. Spring training also built team unity and afforded managers and coaches a chance to evaluate their team’s talent for the season. For the owners it also meant money. Not only did fans pay to watch the spring games but the teams barnstormed their way back to their home cities, playing exhibition games along the way to bring in more income. 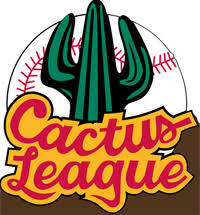 The Grapefruit League in Florida started in 1910 while the Cactus League began in Arizona in 1947 when Bill Veeck brought his Cleveland Indians to Tucson (where he owned property) and convinced the New York Giants to move to Phoenix so they could practice together. Other teams eventually followed. 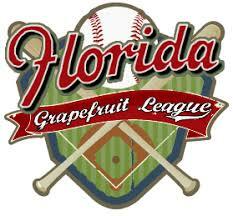 During the years of World War II, spring training in Florida ceased. Minor League baseball was cancelled, but the Major Leagues continued play with the approval of President Franklin Roosevelt who said that “America’s Pastime should continue because it boosted homeland morale.” But spring training had to be held close to the teams’ home fields, so trains could be used to transport troops and supplies, not baseball players. 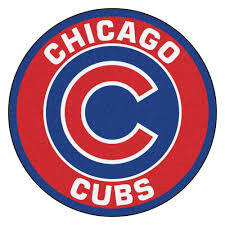 The White Sox, Cubs and Cardinals were limited to training in only Indiana, Illinois or Missouri. So as you look at the training sites of the Cubs and White Sox below, you can understand why they trained in Terre Haute and French Lick, Indiana. The regular season starts soon. As we anticipate warm and sunny days, we also hope that our favorite team wins the World Series this year. Below is a listing of the various locations that were the spring training sites for the Cubs and White Sox over the years. Excelsior Springs, MO (1901-1902); Mobile, AL (1903); Marlin Springs, TX (1904); New Orleans, LA (1905-1906); Mexico City (1907); Los Angeles, CA (1908); San Francisco, CA (1909-1910); Mineral Wellls, TX (1911, 1916-1919); Waco, TX (1912, 1920); Paso Robles, CA (1913-1915); Waxahachie, TX (1921); Seguin, TX (1922-1923); Winter Haven, FL (1924); Shreveport, LA (1925-1928); Dallas, TX (1929); San Antonio, TX (1930-1932); Pasadena,CA (1933-1942, 1946-1950); French Lick, IN (1943-1944); Terre Haute, IN (1945); Palm Springs, CA (1951); El Centro, CA (1952-1953); Tampa, FL (1954-1959); Sarasota, FL (1960-1997); Tucson, AZ (1998-2008); Glendale, AZ (2009-present).